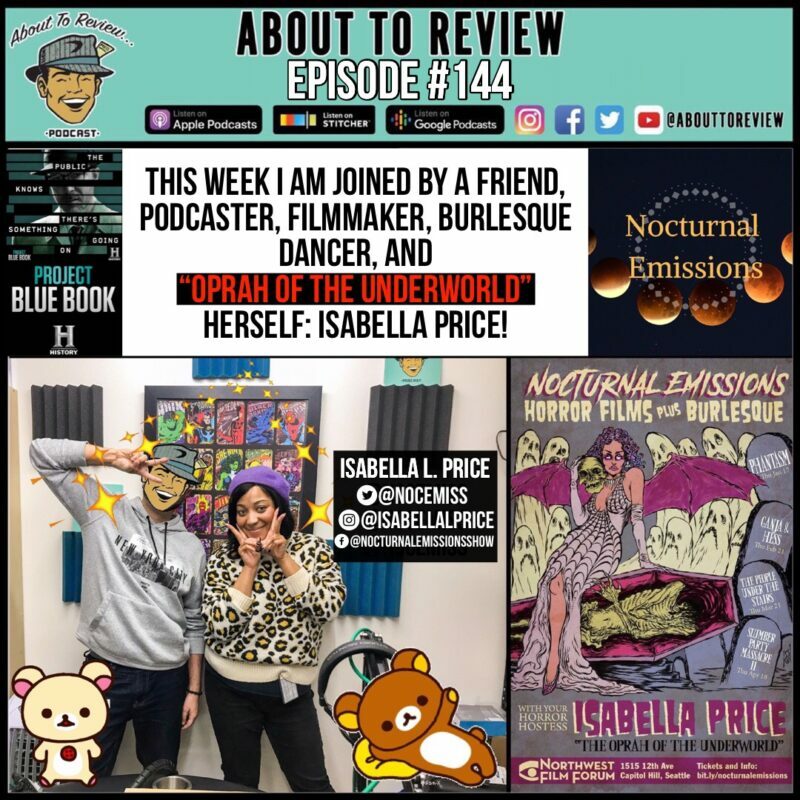 I was joined this week by the “Oprah of the Underworld” herself, the one and only Isabella Price! 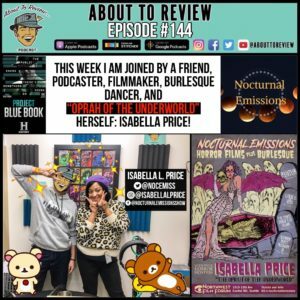 We discuss the new History channel show “Project Blue Book” & then find out about Isabella’s favorite horror films in preparation for you her new series! Isabella is the host of the podcast “Nocturnal Emissions” which covers everything from the supernatural, to ghost stories and Bigfoot! We had a great conversation on this episode, with topics ranging from Morticia Addams, Elvira, The Cryptkeeper, and also aliens. I hope you enjoy this conversation, and please reach out to Isabella and let her know I sent you!